In Rome the motion "Stop Italian bombs for the Yemen war"
Rome (NEV), February 9, 2019 – The motion “Stop bombs for the Yemen war” arrived in Campidoglio for the discussion, on February 5. It had been presented last January 28 in the Sala del Carroccio by a group of associations, among which the Globalization and Environment Commission (GLAM) of the Federation of Protestant Churches in Italy (FCEI). 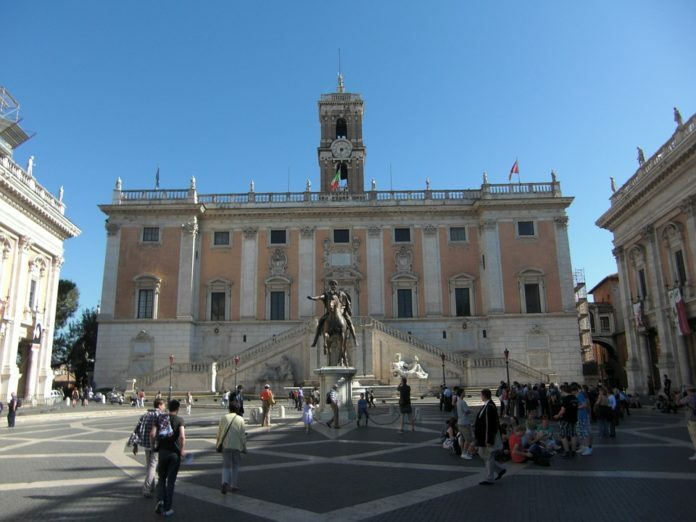 The signatories * of the proposal, sent to the Mayor and to the municipal councillors, ask the Capitoline Assembly to focus its attention on a “reasonable request for a shared political action on humanitarian basis. Rome is not only the Capital of our State but expresses, on a planetary level, the inviolable right to existence of every city”. The motion, inspired by the one adopted unanimously by the City Council of Assisi, asks that “the Italian government and parliament implement the constitutional principles and resolutions of the European parliament by blocking the export of arms and related articles produced in Italy or transiting through Italy, destined to Saudi Arabia and to all the countries involved in the armed conflict in Yemen”. The proposal has already been approved so far by the City Councils of Cagliari, Bologna and Verona. The promoters also ask to re-think the entire Italian industrial and economic policy and, specifically, that “effective measures of economic and industrial policy, starting with Sulcis Iglesiente (a Sardinia sub-region mainly known for mining activities) be fixed in order to free our Country from every unreasonable conflict between the dignity of work and the right to life for everyone”. The motion furthermore solicits the implementation of the law 185/90 which refers to the reconversion of the arms factories.